NOTE: The Blood & Boar will be available starting tomorrow, 2/8! Pignius has been roasting iron blades over some delightful smelling charcoal and is getting ready to serve up some punishment! The Blood & Boar increases his defense, as well as his max health and attack to a lesser extent. It also gives him a chance to do an attack that deals 3x damage, burns his target, and give all allies (including himself) a boost to their attack, defense, and crit! I’m sorry, should have posted. HOW MUCH IS THE NEW EPIC ? I am looking forward to a valentines event if they do one because then we can buy for $30 a epic and for another $ a skin that has stats. They've said somewhere it'll be available around the 11th. The new (TERRIBLE) way they're releasing epics is for $20-$100 in shop as "early-access", and then a month later they make it into the base game. It's bad, awful, and totally against the initial tone of epic releases, specifically as they still haven't made them for over half the roster. They are getting worried because they are running out of characters with weapons and they don’t know how to give epics to the ones without them. Ah yes another EPIC cash grab! 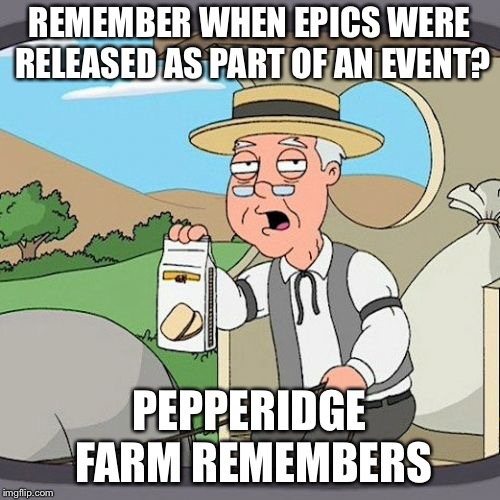 Back in the day EPICs were released during events for free. Why are they making epics for new heroes like Jin, when they don’t even have them for heroes like Ella?? Am I the only one who this event isn't showing up for? Look in the shop. This is the “event”. Who would spend 100$ on this!? Not me. Yet, that’s the “event”. BF wants to have a company BBQ. I can only think that enough people spend that money. If no one did they would have lowered the prices by now. I personally find in inconceivable. But to each his own. Yeah but, for the pig?! How do people that stupid get that kind of money? Well, every single day I am amazed at the stupidity of people. So this is no different. I don't think anyone is spending. I believe it is just plain stubbornness on the behalf of the provider. They've gotten away with it in the past, so the practice continues. I guess not too many people play multiple mobile games. I am surprised no one is presenting a comparable from another provider. I would think concerned consumers would be doing the comparison. But I haven't seen comparable's to date. All of the "collect heroes and star them up" type of games seem to have similar pricing but there may be different game play and roulette wheel style portals and game play may be different to allow more fun. I have tried a few of them. Have not gotten far in any of them since they seemed too pay to win for me. The drop odds where ridiculous in the 3 I tried, star wars, looney toons, and the marvel game. But I think the problem is not comparing them to each other as comparing 4 bad thing is not a good judge. 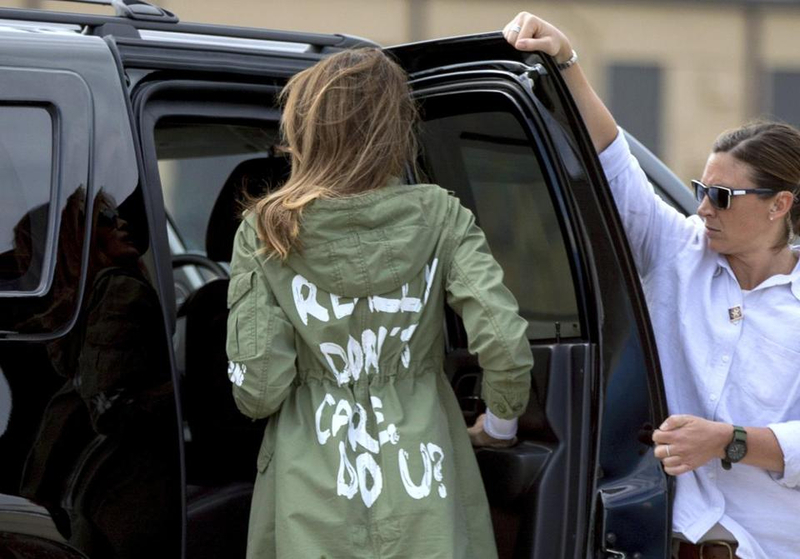 The bar is too low. If you compare what you get from your expenditures in a game like DB and a gaming consul and games to go with it...there is no comparison. Or a pc game. Think about it 50-60 bucks can get you an entire game vs in these types of game 50 bucks might get you 1/1000th of this game, and since it never ends with new heroes, your previous expenditures devalue every time something new is released and the power curve goes up and you need to spend more to compete, because no balance. It's a merry go round and once on the ride, very difficult to get off while it is moving. Basically what it tells me is that there is no way for us to know if these epics are priced correctly for the market. There is no comparable... We cannot control it. Let's face it: There is no way if we know that we are truly getting ripped off. This is why I push for things like Youtube channels. I wont promote one here, but it's the best way to be an informed consumer and make sure we are getting the most for our money (If we decide to spend). I can purchase premium quality mobile games in their entirety for between $9.99 and $19.99. They may not be the exact same genre but they are vaery fun. 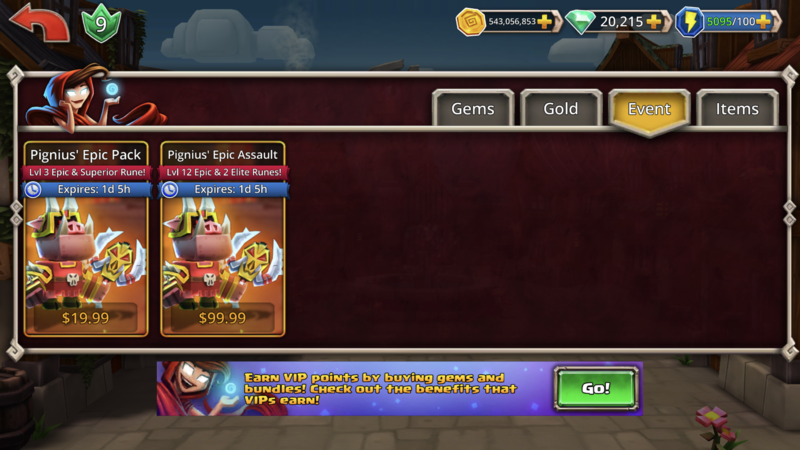 In games that are F2p with in-app purchases there is almost always 0.99, 1.99, 4.99 packs, etc. Its all over the map. I can just tell you that requiring $10 or $20 weekly is way over the top from anything I would personally choose. One game in particular seems to price their "gems" as outrageously as here, but the game style allows you to slowly accumulate them on your own without paying if you are patient. If DB allowed me to acquire the same materials (albeit at a slower pace) without paying, then I'd be fine with that, but that's not what loot passes seem to be, or at least the length of time it would take to acquire the "items" without paying is abysmally long and not worth the effort. The profit model of some of these games seems to be designed to take advantage of those who require immediate gratification, and those who are not careful with their disposable income. While this darwinian approach may gain the company more money, it is not in my view a responsible path. And I choose to be a responsible person supporting those whose values I share. I vote with my pocketbook. what about Jin, Zola, Viper, Cobra's epic coming to island? today hopefully? Jin maybe ... but i think we will need to wait a little bit more for Zola 's, Viperia's and Cobressa's epic.